Retirement Help – for traditional, never or forced retirement? Top Ten Reasons to Retire – and some reasons not to! When can I retire? Any time! How Much Money to Retire – how much is enough? Senior Citizen Health Insurance – can you afford not to have it? Bored? Some Ideas for Retirement Hobbies! Retiring to Costa Rica - join the "pensionados"
10 Best Places to Retire? There’s Just One Best for You! Retire to New Zealand - there's not many better options. Retire in Europe to life as it was meant to be. Best State to Retire – The Winner Is …! ​The demand for retiree jobs is likely to increase over the next few years. As a "traditional retirement" of leaving ​a job at the mandatory retirement age, with an adequate pension and never ​having to work again will only apply to a small minority of people. For the rest of us we will have the new "baby boomer retirement". We will continue to pursue a career, either through choice or necessity, through into our 70's and possibly 80's. There will be many changes in the retirement work market. But how this actually pans out will depend on the economic situation in the world. With growth prospects looking quite bleak many organisations may use "retirement" to downsize. On the other hand some organisations will still require the specialist services of their baby boomer retirees. The 'official retirement age' issue will continue to be a hot potato. State employees seem to want to keep the retirement age as low as possible and their defined benefit pensions as high as possible. Whereas private enterprise employees want the mandatory age to increase, or be abolished, as their defined contribution pensions are not adequate. Who knows how this will eventually be resolved? Continued employment in the same company - possibly as a consultant. If there is some arbitrary, mandatory retirement age and that's the only way they can employ you! Employment in another company in the same profession - either on a full-time or part-time basis. A completely new career path. don't come to work trashed after late nights out!! in many cases retirees will have to accept lower paid jobs. For this reason it may be worth looking at opportunities to working for yourself. ​Here there are many retiree jobs options but you must ensure that you find one that suits your abilities, needs, and commitment. Your employment needs will be a part of your retirement plan where you should have decided how you will the balance all the areas of your retired life. In thinking about options consider what you really enjoy doing. Do you enjoy interacting with people or are you happy in your own company? Is there something that you are passionate about and always dreamed about doing? Start somewhere, dig out all your humility, you might have to work through a few frogs before finding the princess!! With some retiree jobs you will never even have to leave your house. In this digital age if you have a computer, or at least know how to use one, there are ample opportunities online to develop a steady income. There are also retiree jobs where you don't even need a computer, just a telephone. The one downside in working from home is that can be quite lonely and unless you are very self disciplined there are many time wasting distractions. It is easy to be busy … achieving very little. Organisations are always looking for sources of unique original content. If you have a knack for writing you can earn some extra money at home writing for online sites. These make great jobs, you can work whenever and wherever you want. Travelling and writing might be a good choice. Turn your (or your wife's) passion, hobby or interest into a stimulating and income generating website. Many of the steps can be automated and there is unlimited support and advice available through the internet, forums and blogs. With average typing skills, a good command of English, the ability to work independently data entry is another way to earn some money from home. There are many opportunities for data entry which makes this one of the more popular choices for retired people. Online Teaching and Tutoring Jobs. Are you a former teacher? Do you have a specialist skill? Opportunities for digital teaching are growing every year. With available technology like Skype, and online seminars, or Webinars, it is possible, and easy, to teach remotely. The great advantage of the above four businesses is that your office is as big as your computer bag. You can take it with you anywhere in the world and keep on earning money. Although at times we resent intrusive telemarketers, our attitude towards them is not going make them go away. This is a very convenient way to make extra money from home. You just need to be quite thick skinned, follow the script and not take the abuse and rejection personally. Corporate companies often need skilled operators. Either because of short term increase in capacity or a temporary loss of a critical skill (injury, leave, illness). You can make yourself available at short notice and for flexible periods. Out in the bricks and mortar world there are a variety of jobs for retired people. There are relatively low paying opportunities through at temp agencies, or maybe even small restaurants or fast food places. Specialist management knowledge or skills can be put to work part time conducting workshops or being contracted as an expert speaker. This can also be turned into an ebusiness with video tapes, ebooks and online seminars. Some retiree jobs involve returning to the academic world as a part-time lecturer or faculty member. This is a good way to "pay back" society by sharing ones knowledge and experience. ​​Other opportunities that I have seen people taking as retiree jobs include handyman, house sitter, holiday property care and administrator, personal trainer and English teacher. There are literally hundreds of opportunities around you. Be observant, ask questions, think out of the box, talk to people, surf the web … there's something for everyone. 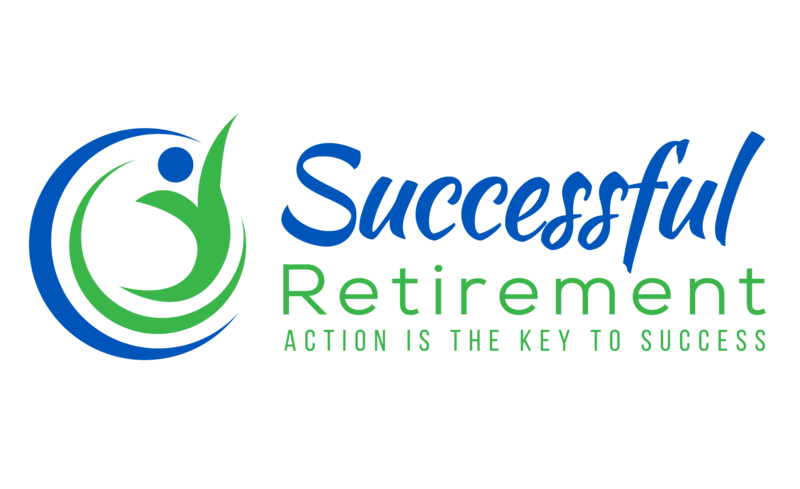 You don't have to wait until you are retired to start thinking about your retiree job. Start looking at options now. Retirement Age – an antiquated concept!